A considerable assortment of various crucibles, pots and combustion boats for chemical analyses is manufactured. 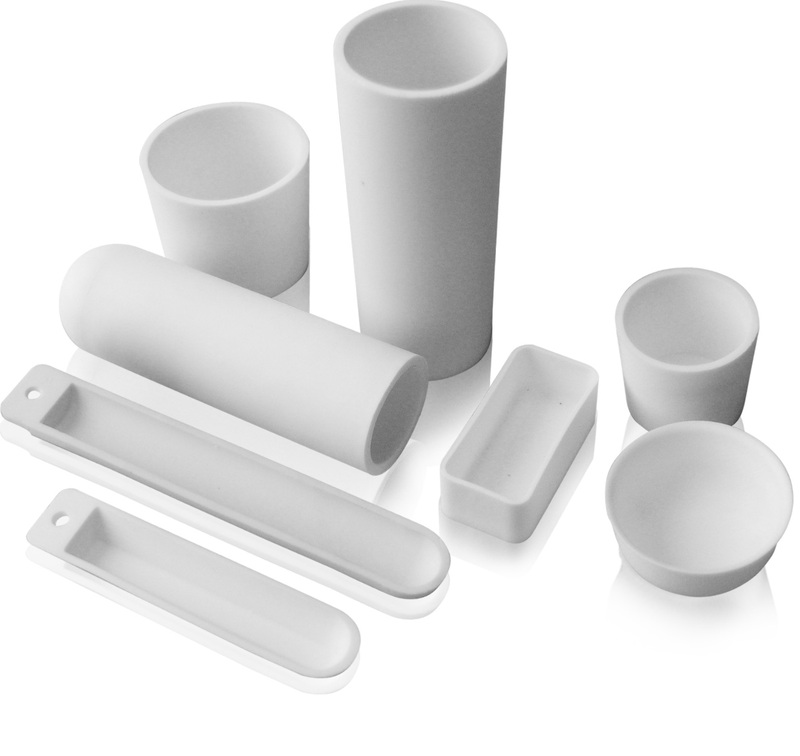 The high chemical resistance of the Oxal ceramics at high temperature is utilised. It is also possible to order small crucibles for TG, DTG and DTA analyses.